Sketch trio Foil, Arms and Hog are to appear in Newcastle next month as part of their new UK tour. The popular Irish troupe will bring their new show Skiddlywup to The Stand on Tuesday 12 April. This year’s run follows seven consecutive sell-out Edinburgh Fringe runs and a debut UK tour, which included a sell-out finale at the London Udderbelly. Known for their fast-paced mix of sketch comedy and stand-up, the group have appeared on Jason Byrne’s Snaptastic Show, BBC R4’s Sketchorama, and are regular contributors to comedy website Funny Or Die. 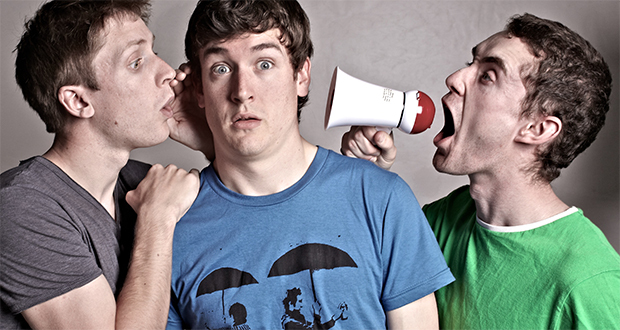 The trio, previous recipients of the Adelaide Fringe Festival Best Comedy Award, have also amassed over 5 million hits on YouTube, counting over 15,000 subscribers. Tickets for the show are priced at £12 and are available from The Stand’s box office.